Dave Matthews has joined luxury housebuilder PH Homes as marketing director. Matthews, who has worked in advertising and marketing for 30 years, joins the Cheadle-based company from Northstar, where he spent over three years as an account director. The appointment comes after PH Homes announced it was developing 74 family homes in the grounds of Alderley Park in Cheshire. Matthews started his career as an art director and moved on to be creative director and director in agencies throughout the North West, including T3 and Life Creative. 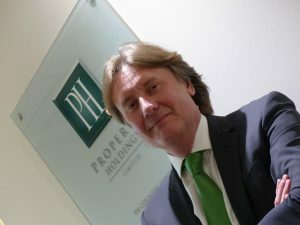 He said: “I’m delighted to be joining the PH Homes’ team. I have worked with the brand since its inception and, as a result, I have a real understanding of the brand values and the quality of the homes we develop.